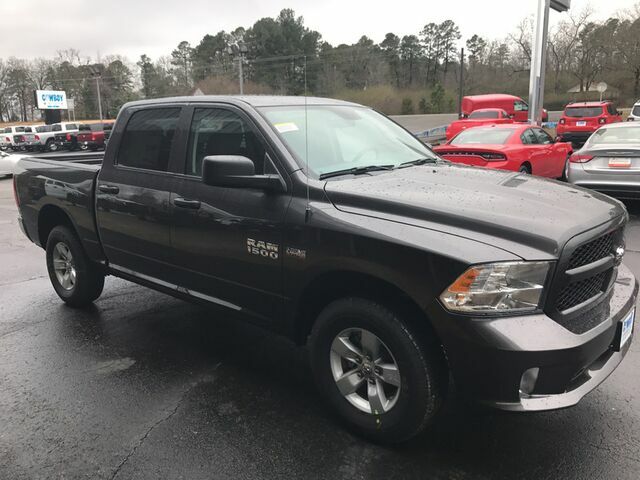 This 2018 Ram 1500 Express is proudly offered by Cowboy Chrysler Dodge Jeep Ram This 4WD-equipped vehicle will handle majestically on any terrain and in any weather condition your may find yourself in. The benefits of driving an Four Wheel Drive vehicle, such as this Ram1500 Express, include superior acceleration, improved steering, and increased traction and stability. This vehicle won't last long, take it home today. The Ram 1500 Express will provide you with everything you have always wanted in a car -- Quality, Reliability, and Character. There are many vehicles on the market but if you are looking for a vehicle that will perform as good as it looks then this Ram 1500 Express is the one!